We had a great day of flying today despite the early spreadout. Every aircraft was out of the hangar and flying including our new Grob Astir CS 77 G-FECO. Those who have flown it have reported that they very much enjoyed it. Brilliant achievements were also had by Keith L who reached Silver height (1000m height gain) and his two hour duration towards Bronze X/C. Junior pilot Jesal P achieved his two hour duration flight with a brilliant bit a scratching in weak lift under heavy spread-out, needing to stay aloft until after 6pm. Jesal P soaring towards his 2hr goal under heavy Spreadout. 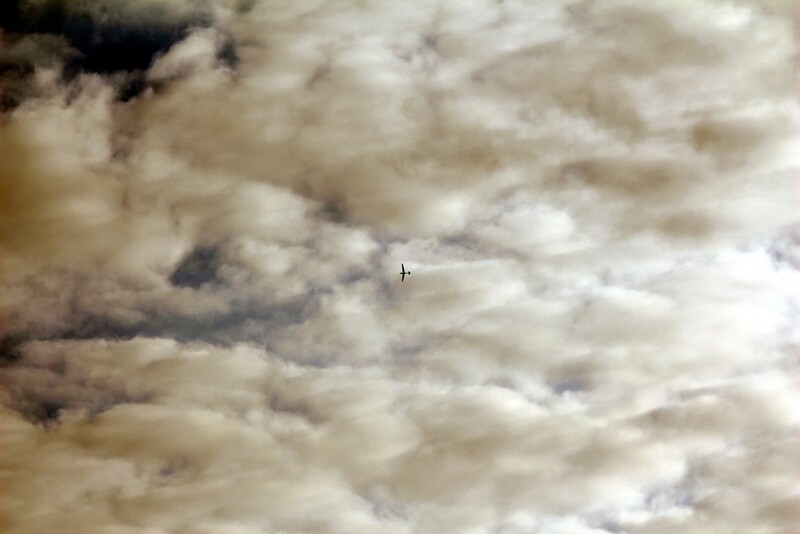 This entry was posted in Flying reports and tagged bronze c, flying, gliding, soaring by admin. Bookmark the permalink.